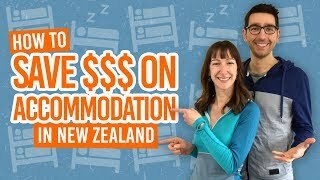 How to spend money in New Zealand without a bank account. 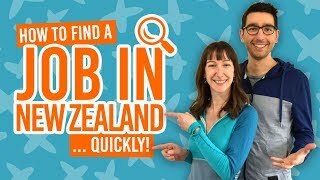 Coming to New Zealand for an extended trip but don’t want the hassle of opening a New Zealand bank account? Or maybe you just don’t have or want a bank account at all? This guide will go through how to transfer money without a bank account so you can transfer money to New Zealand (or elsewhere overseas) without having to set up a new bank account overseas. This guide will go through other methods to spend your money in New Zealand using a prepaid money card (travel card), Visa Gift Card and credit card. These are all ways to transfer money without a bank account in New Zealand. Plus, we’ll tell you more about money remittance websites that enable you to transfer money without a bank account. Ways to use money abroad without opening a bank account. If you’re abroad for a long period, you don’t want to be carrying all that cash with you. It’s more secure to transfer money when you need it. However, the most common ways to transfer money online is from one bank account to another, meaning that you would need a bank account abroad. If you do have a bank account in New Zealand (or your chosen country), take a look at How to Transfer Money to Your New Zealand Bank Account or How to Send Money Overseas from a New Zealand Bank Account. However, if you don’t have a bank account in New Zealand, it doesn’t mean that you can’t still transfer money to yourself from a bank account back home. In fact, with some of the methods we’re going to suggest, you don’t even need to involve a bank account at all! You can transfer money without a bank account with a prepaid money card (travel card), Visa Gift Card or a credit card. Sent to a pick-up location. We’ll go into more details of using prepaid money cards, Visa Gift Cards and credit cards below. What is a prepaid Money card? Prepaid money cards or travel cards are cards loaded with a set amount of money that you choose. You can access that money in multiple currencies (usually with a set exchange rate so there are no nasty surprises). What’s more, prepaid money cards are used to make payments just like using a debit or credit card. They can be used in ATMs to withdraw money or used when paying at the counter. (Learn more about making payments in New Zealand and New Zealand currency here). Prepaid money cards can be purchased from banks, travel agents, post offices and currency exchange brokers. Setting up a prepaid money card is much easier than setting up a bank account. Usually, the process involves completing a short form with personal details like your name and home address. You may also need to show some form of identity like a passport or driving license to confirm your identity. Be aware that there are fees for using prepaid money cards charged by prepaid money card company. This is usually a fee depending on how much money you have loaded onto the card, for example, 1% of the initial load amount. Because you can use a prepaid money card much like a debit or credit card, many money remittance companies will accept it as a payment method, even online. Prepaid money cards have a card number, expiry date and CVV2 number like a debit or credit card, that will be used when giving your “account details”. Check that your chosen money remittance company accepts prepaid money cards first. What is a Visa Gift Card? Being a big player in financial services, no doubt you will have heard of “Visa”. A Visa Gift Card allows you to load the amount of money you choose and spend it in tens of millions of outlets around the world, including physical stores and online. Just think of it like a gift card that you can spend almost anywhere. However, you cannot withdraw cash in stores nor at ATMs with a Visa Gift Card. Visa Gift Cards can be purchased in selected supermarkets, gas stations, post offices and online on your country’s Visa Gift Card website. For instance, the Visa Gift Card in New Zealand is called a “Prezzy Card”. There are no lengthy forms to complete, other than if you are buying a card to be sent in the mail, then you will need to choose a code for your card for security reasons. You will pay the flat rate of the card itself (for instance, in New Zealand it’s around NZ$5.50 for the card itself), as well as the total you want to load onto the card. First, a Vise Gift Card doesn’t require you to have a bank account to purchase one – you can pay in cash in a store. Visa Gift Cards have a card number, expiry date and CVV2 number, which is the information required to make a purchase online or transfer money online to a money remittance website. Alternatively, you can send the Visa Gift Card in the mail, which will mean that your card will require a code of your choice. The card can only be unlocked with this code either over the phone with Visa or online. Credit cards allow you to make purchases electronically, withdraw cash from ATMs, pay online and make online transfers using “credit” i.e. borrowing money from the bank. You pay back the money that you spend within a specific time period. If you don’t pay your credit card bill on time, the total you owe will start gaining interest, meaning you will need to pay a percentage more on top of what you have borrowed. (For tips on saving money in New Zealand, see here). Credit cards can be purchased with banks and building societies. Applying for a credit card involves a more detailed application process than even opening a bank account, with an application that will involve your personal details, one or two forms of identification will need to be provided, as well as financial details and supporting evidence. Indeed, banks will require you to have some sort of bank account to pay off your credit card, although you don’t actually have to bank with the same company. However, once you have a credit card, you can use it domestically and overseas to make all the usual purchases and transfers, just like using a debit card without involving your own bank account. Credit cards have a card number, expiry date and CVV2 number which is information required to make payments online and to transfer money using money remittance websites. It’s a good option if you want to access funds overseas without opening a bank account in the country you are visiting. What is the Best Rain Jacket for New Zealand?